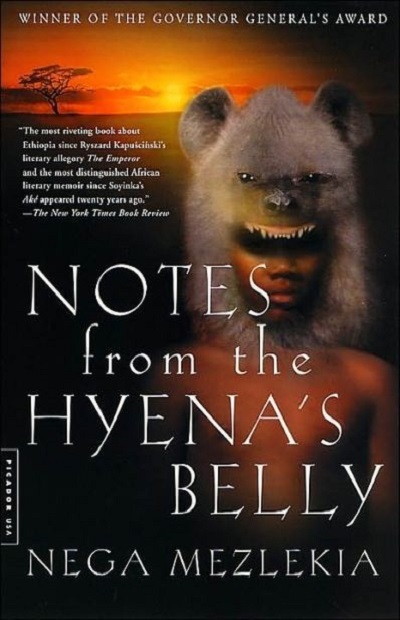 Part autobiography and part social history, Notes from the Hyena's Belly offers an unforgettable portrait of Ethiopia, and of Africa, during the 1970s and '80s, an era of civil war, widespread famine, and mass execution. We children lived like the donkey, Mezlekia remembers, careful not to wander off the beaten trail and end up in the hyena's belly. His memoir sheds light not only on the violence and disorder that beset his native country, but on the rich spiritual and cultural life of Ethiopia itself. Throughout, he portrays the careful divisions in dress, language, and culture between the Muslims and Christians of the Ethiopian landscape. Mezlekia also explores the struggle between western European interests and communist influences that caused the collapse of Ethiopia's social and political structure—and that forced him, at age 18, to join a guerrilla army. Through droughts, floods, imprisonment, and killing sprees at the hands of military juntas, Mezlekia survived, eventually emigrating to Canada. In Notes from the Hyena's Belly he bears witness to a time and place that few Westerners have understood.